Welcome to Aller's LLC in Hiawatha, Kansas. We serve Kansas, Southeast Nebraska and Northwest Missouri. 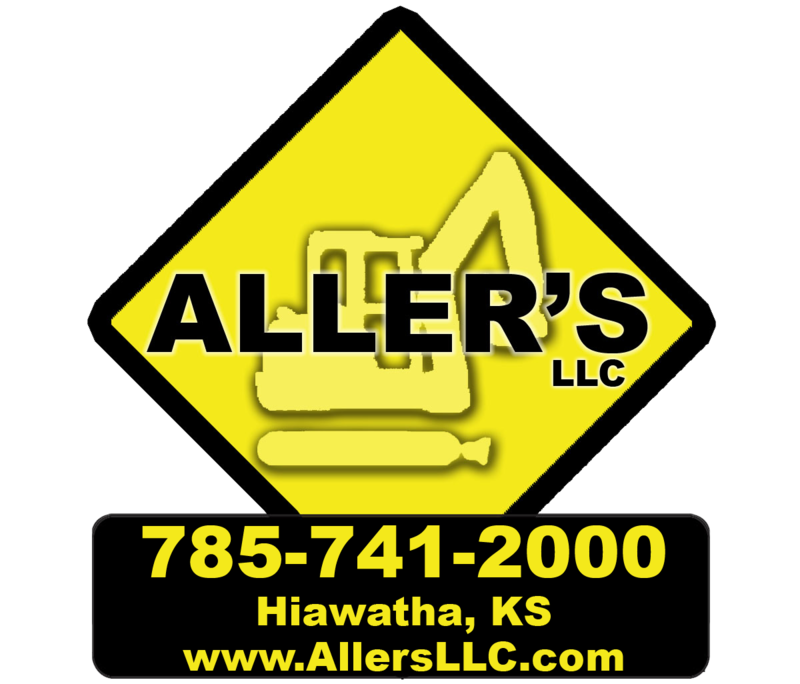 Aller's LLC is a multi-service construction company. Owner/Manager PJ Aller is a skilled machine operator who has built his reputation on his ability to consistently deliver quality work at competitive prices. Project Coordinator/Trucking Manager Jim Aller has cultivated a vast network of valuable industry contacts from material suppliers to specialized sub-contractors that helps our company finish your projects on time and on budget. With the assistance of an outstanding support staff of mechanics, truck drivers, safety supervisors and hard working laborers, Aller's LLC delivers you more value and success for each dollar you invest in your project. Whether you are planning a small home improvement, a major build or anything in between, give us a call to see how we can help. Aller's LLC has a vast array of customers. We have worked for 4 major pipelines in 3 different states. We also work for township, county and state entities. We have done major work for the Kansas Department of Wildlife, Parks and Tourism, Corp of Engineers, railroads, building companies and etc. We pride ourselves on our building pad constructions. We will make a building pad from an outbuilding to a major hotel, shop, storage building and elevator complexes. We proudly serve small and large businesses, homeowners and farmers. Remember Aller's LLC for all of your commercial, agricultural, residential and public utility jobs.